Universal Procon has expanded its UK meetings and events division following new business wins with clients including Novartis Vaccines, Allergan, Nutricia and Leo Pharma UK. The agency has appointed five new members of staff following account growth with existing healthcare clients and new business wins such as Grunenthal, Celgene, Astellas and Tri-Ductive. Universal Procon global managing director Graham McIntosh said: "I am delighted at the success of our drive on new business; our investment in these new appointments is vital to ensure we continue to deliver the highest levels of customer service." New appointments include Sophie Limbert, who joins Universal Procon as a project manager from P&MM. 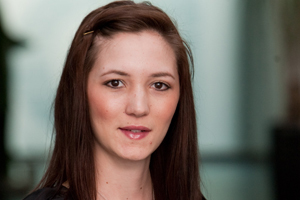 Felicity Jackson has also been appointed as a project manager, and formerly worked at Zibrant. Rohanna Burrow joins the operations team as an events project executive after spending two years in the agency’s venue-finding team. Carly Moon and Lizzie Craig have also been appointed as event co-ordinators.